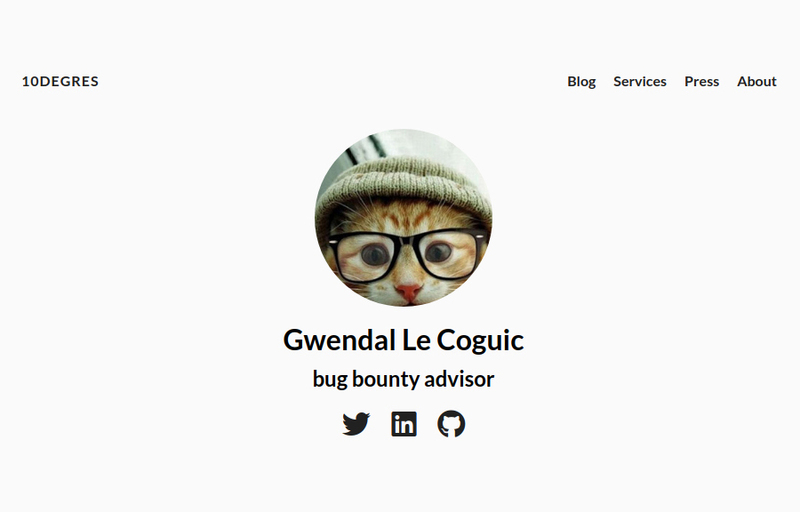 What if bug bounty platforms had their own contest? Imagine a tournament where bug hunters would be promoted and sponsored by platforms like in every (e-)sports. Imagine an event where they could fight on a dedicated scope as it would be in a CTF event but with bounties or a Hackerone event but with a huge competition in the background. This is THE HUNTER GAMES. be able to host a physical event. See “The play”. be able to sponsor a team. See “Players”. be able to provide a scope. See “Scopes”. be able to triage the reports regarding the scopes she provides. See “Reports”. Each team consists 5 players. One of them must be an internal employee of the platform, to be easily noticeable he wears the number 00. The fourth others are hackers of the community selected by platforms themself using their own process. At the beginning of the season, a random draw is performed in order to create the calendar. Teams are grouped two by two to decide the matches. Game after game, the calendar is filled with the results, showing the progress of all teams. A match is a set of 2 games. The first game is hosted by the platform who has been choosen first during the random draw. The platform who has been choosen second will host the second encounter. Points from both games are summed, the teams with the bigger score pass the round and is qualified for the next step. A month before the game, a random draw is performed to choose a scope among the pool of scopes brought by platforms who do not participate that game. Then this scope is removed from the pool. Two accounts with the teams name are created on the platform who belong the randomly choosen scope. A game is height hours long, no break. Only issues reported during this period are used to calculate the points of the two fighting teams. See “Scoring”. Any extra reports after the end of time are considered as null. It’s the responsability of the platform owner of the scope to provide all necessary credentials for 2 teams. It’s the responsability of the platform owner of the scope to communicate with the customer the details regarding the game (date/time, ips…). Reports are handled during the game by a triager employee of the platform owner of the randomly choosen scope, he is the referee. This implies that he must be aware of the date of the game, as well as the customer. It’s the responsability of the platform owner of the scope to take care about the technical problems that could occur during the game. While bounties can be awarded after the game, the severity of all reports is properly estimated a maximum of 1 hour after the end of the game. It’s the decision of the platforms with the agreement of their customers to disclose informations regarding their own scopes/reports. Players are not allowed to reveal any details about the customers/scopes/reports outside the games. Every accepted report is awarded with points according his criticity. The official Bugcrowd rating system is used as a base reference to estimate severities. The winner is the team who get the most points in a game. In case of equality, the fastest report is awarded with a bonus of 100 points which is enough to get a winner.